At Leading for Children, we believe that everyone involved in educating children — teachers, coaches, parents, agency leaders, bus drivers, cafeteria workers — brings wisdom to conversations about how best to support children’s learning. We have to ask: as leaders for children, are we harnessing this wisdom by genuinely listening to each other? 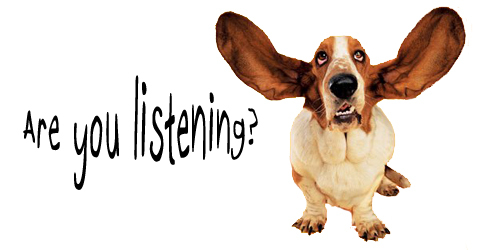 As we think about strengthening early learning systems, listening with intention is crucial. Think of all the meetings you attend, professional learning experiences you participate in, phone calls and daily conversations and interactions. Do you really listen with attention? With a genuine desire to understand the other person’s meaning? Or are you or others simply waiting for a turn to speak—thinking about what you want to say next. Research on communication asserts that about 10 percent of our communication is represented by the words we say. Another 30 percent is represented by our sounds, and 60 percent by our body language. Deep listening requires a willingness to quiet yourself so that you can be completely open to the other person. For me, listening takes a lot of practice and patience. I have to concentrate. I have to focus on a speaker’s words, body language, intended message and even unintended message. Hardest of all is that I try to practice listening without judging what I hear. While making assumptions is a fact of human nature, it’s important to recognize that assumptions influence every interaction. How often do you assume that when you speak, others will know exactly what you mean? While it’s easy to say that I’ll stay open-minded and ask questions to get clarification, I notice that there are times when my mind wanders or I’m waiting for my turn. If I can pay attention to cues I’ve stopped listening attentively, I work at bringing my attention back. Sometimes it helps to take a few notes to help me focus. I’m interested in Steven Covey’s description of empathic listening that involves much more than registering, reflecting, or even understanding the words that are said. In empathic listening, you listen with your ears, but you also–more importantly–listen with your eyes and with your heart. You listen for feeling, for meaning. You listen for behavior. You use your right brain as well as your left. You sense, you intuit, you feel. When we are truly effective listeners we are able to engage in the kind of purposeful communication that is necessary to achieve our goal of strengthening early learning systems. Are you listening?